Description: Monthly Saturday morning toddler club which aims to inspire a love of nature from a young age and encourage interaction with the garden’s many wildlife inhabitants as well as its trees and flowers. Organised by the garden’s charity, the Knoll Gardens Foundation. £4.50. 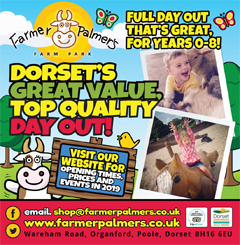 To check availability and book email: education@knollgardens.co.uk Please let us know you saw us on What's On in Dorset!